Since its inception, digital advertising has been graded and evaluated by a metric known as click-through rate (CTR). This metric is calculated by the number of times your ad is clicked divided by the number of times your ad is seen. Depending on the type of advertising you’re running online, CTRs can range anywhere from .05% to 10% or higher. It’s pretty widespread. CTRs have more range than Adele and because there are so many different rates in which users are clicking on ads, marketers often use CTRs to determine success. This is a mistake. 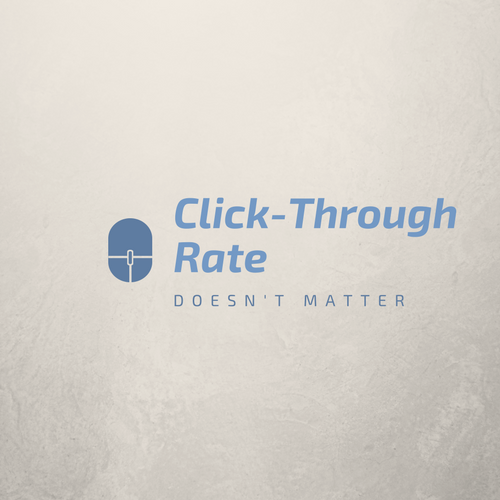 Click-through rate is the wrong metric to use. There are many different reasons that users click on ads. If it’s a banner ad on a smartphone the click might be a result of what is often referred to as a “fat finger.” This is a click that happens by mistake and is pervasive on small touchscreens. If the ad is in social media, the user might have been enticed by an image that they were drawn to. For paid search ads on Google, a user might click the link without knowing it’s an ad trying to sell them a product. We’ve come a long way as an industry over the past twenty plus years. Digital marketers should no longer be concerned with whether someone clicks on their ad. What’s important is what the user does after they click. 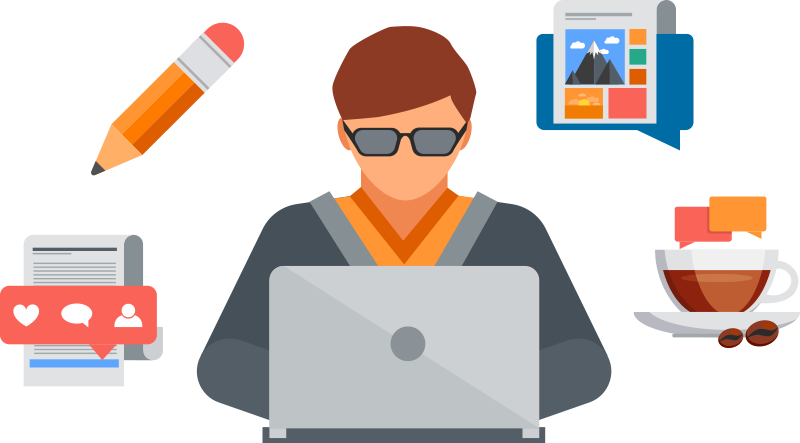 If 100% of the people who click on your ad leave your website after spending just a few seconds on a page, these clicks did not provide any value to your company. Seems obvious and yet, digital marketers are still evaluating performance using CTR as the key performance indicator. While it’s tempting to associate a user clicking with their interest in your products or services, we’ve found that there’s often a negative correlation between CTR and conversion rate. Conversion rate is the percentage of users who take a specific action once they’ve landed on your website. This could be downloading a white paper, making a phone call, or purchasing a product. Really, it’s any action that converts to a sale or takes a step that could potentially lead to a sale. It makes perfect sense. Optimizing for click-through rate is all about getting more people to click. Optimizing for conversion rate is all about getting the right people to the site, those most likely to act. These two concepts often work against each other. Unless the offer is something that appeals to most users, like a sweepstakes entry, only certain people will take the action a marketer is tracking as a conversion. More than any other tactic, CTR is used as a success metric in paid search advertising (Google AdWords). This is misguided. When running paid advertising on search engines, advertisers only pay when someone clicks on their ad. Trying to get as many people to click as possible should not be the goal for this type of campaign. If anything, you want to qualify the people who click. Use ad copy that only entices people who are ready to take an action. The best metrics to determine success are conversion rate and cost per conversion. The latter is all about return on investment (ROI). I’ve worked with ecommerce sites that have very small margins. If the average profit from a sale is $8, we need a cost per conversion that is at minimum less than $8, if not significantly less. Otherwise we’re effectively draining cash. When calculating the cost per conversion, the click-through rate is not a factor. The more important metric is the cost per click (CPC). Because clicks on Google AdWords are sold in an auction-based bidding system, digital marketers have a lot of control over how much they will pay for clicks. Once a predictive conversion rate has been established, the maximum CPC can easily be calculated to provide only profitable conversions. Granted, there are times when CTR is an important metric and one that should be analyzed. Maybe you’re testing different offers or different messages. 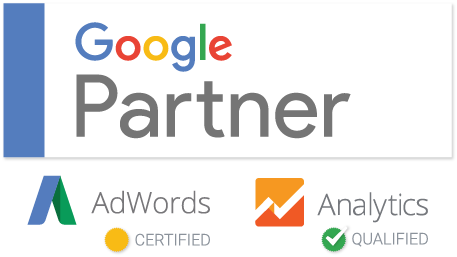 Google AdWords can be an extremely effective platform for testing taglines and incentives. When you want to see what gets people to respond, CTR is a metric that can and should be used to learn what works best. For digital marketers like myself, the beginning of time only goes back as far as the 1990s. In our world, the click-through rate metric has been around for all of eternity. While I think we should continue to measure it and understand it, let’s all agree that the days of using this metric to determine success are in the past. Digital marketing success metrics should tie directly to business success. Karl is responsible for digital advertising and marketing with two decades of experience in PPC, SEO, social, mobile, video, display, and analytics. By focusing solely on our clients’ business and marketing objectives, Karl ensures the digital marketing strategies Mason Digital develops and executes are successful. Based in Rochester, NY, Mason Digital partners with our clients to develop a digital marketing strategy that is designed solely with the purpose of achieving business objectives. We’re marketers, not sales people, so we are able to develop innovative strategies using client input, research, and years of experience. Why Am I Not Seeing My Search Ad? Is Search Engine Optimization Still A Thing?